An Israeli start-up company is working on a what it claims is a new type of hybrid hard drive solution for enterprise servers that will bring the speed of Solid State Drives with a cost per Gigabyte much closer to traditional mechanical hard drives. Analysts predicts that the amount of data in large organizations will continue to increase in rate of about 40% each year until 2016. So far despite a constant decrease in price Solid State Drives (SSDs) did not drop in price to a level that they can be purchased as main data storage units for data centers. Although many data centers use SSDs for specific tasks, the large majority of enterprise storage devices are still mechanical. Enters Israeli start-up Reduxio with its Hybrid hard drive approach. Hybrid hard drives are nothing new. In mid-May 2006 TFOT was one of the first websites to report on Samsung’s first prototype hybrid hard drive which was announced at WinHEC, the Windows Hardware Engineering Conference. Samsung prototype drive had a buffer of 128 (or 256 MB), much larger than the 8-16 MB of cache in mechanical drives at the time. However despite the promising early start hybrid hard drives didn’t really catch on and most drives sold today are still mechanical drives with an small (but growing) percentage of Solid State Drives. So why did hybrid hard drive did not succeed until now and why Reduxio thinks it has the key – at least when it comes to the server and enterprise market? For the consumer market, the answer is that SSDs are simply too good to miss – they already have enough capacity for most average users, they are extremely fast and the cost – despite still being much higher than conventional hard drives is acceptable when you only have to buy one. However things start to look different when you move into the professional world of large data servers. When you are looking at hundreds, sometimes thousands of hard drives, cost suddenly becomes a bigger issue. More importantly even, according to Mark Weiner, Reduxio CEO: What most people know is that those drives [SSDs] eventually wear out, as you write, erase, and rewrite to an SSD, the ‘image’ of the data you are writing gets weaker, and eventually the thing wears out". For a personal user this might not be a problem as he or she will most probably replace their computer before the SSD will wear out, but for an enterprise level storage device which can perform heavy read/write sessions 24/7 and requires outmost reliability this could be a serious problem. Reduxio hopes to bring a comprehensive solution that will bring the best of both worlds. According to Weiner: "Other management systems are not optimized for hybrid disk systems – We are the first ones to develop this. All of the disks in an array are managed together, with the software deciding the most efficient way to write data, based on our technology". Reduxio’s technology software engine initially writes everything directly into the hybrid drive flash, so that the users will get the speed they need, next it will move data which is not used or needed to the slower mechanical drive. 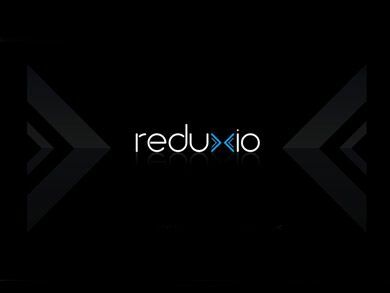 Reduxio already raised 9 million dollars from two Israeli VC companies and a few days ago it was announced that the company will receive 3 million dollars more from Intel Capital (Intel’s VC arm) – money that will help the company hire more employees and finish its development which is currently said to be in advanced stages. An Electric Car Battery that can Last 27 Years!